2185 Fillmore Street Fillamento, aptly named for its location on Fillmore Street at Sacramento, was the king of all the City's boutique stores for twenty years. A Mecca for upscale housewares, Fillamento was also the cornerstone of the fashionable Fillmore shopping district. 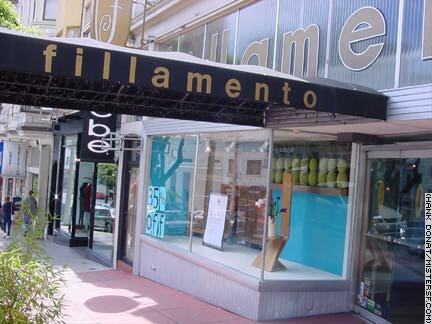 Though long a required stop on any San Francisco shopper's tour, Fillamento had experienced an 81% downturn in sales when the closure was announced by owner Iris Fuller in August of 2001. Fuller has told friends that she will likely set up shop in another city.